Your basic and optional life insurance will terminate as of your retirement date. Eligibility, considerations, and cost sharing agreements for extended health care. Information for if you are disabled and are receiving benefits from the Long Term Disability Plan. 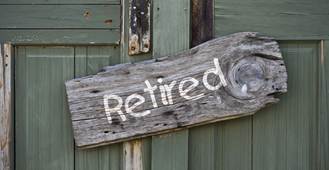 What to do if you terminate your employment with the university before your retirement date. What happens if you die before your retirement date and how to report the death of a pensioner. An opportunity for semi-retired and retired individuals to learn for personal satisfaction. Information on your retiree ID card, out of country emergency coverage, email and Carleton`s retiree association. Select your pre-retirement employment group below to see your benefit package. Please note that coverage continues upon your death to your eligible dependents. You have the option, within 31 days following your retirement, to convert some of your insurance to a personal plan without evidence of insurability. If you are generally in good health, this option is likely more expensive than purchasing a personal policy with medical evidence but it is beneficial if you have developed a condition that would prevent you from otherwise purchasing insurance. For more information on converting your basic life insurance, you can contact Diane Koven (a Sun Life Financial representative) at (613) 728-1223 ext. 2235. For information on converting your optional life insurance, you can contact a Great-West Life representative at (613) 270-6800. At retirement, members with continuing appointments, who are covered for the Extended Health Care benefit, who have at least five years continuous service and take an immediate pension are eligible to have this benefit for themselves and for their spouse and eligible dependents. Coverage continues upon your death to your eligible dependents. If you are a resident of Quebec, and you are eligible for continued coverage under the Carleton University Health plan, when you reach age 65, you must be insured by RAMQ for prescription drugs. The Carleton University Health plan becomes the second payer. For more information, contact the RAMQ office at (800) 561-9749 or visit their website. If you are planning to become a non-resident, your provincial health insurance will terminate. You must have provincial health coverage in order to be eligible for the Carleton Health Plan so your Carleton Health Plan will also terminate. If you return to Canada and again have provincial health coverage, you may apply to be reinstated in the Carleton health plan at that time. CUPE 2424 Cost sharing remains the same as active employees and any changes in rate will be applied. Dental Plan: CUASA Retirees may continue in the Dental plan after retirement based on the same eligibility and cost sharing criteria as the Extended Health plan, outlined above. If you become a non-resident, you will not lose this coverage. Faculty members who retire from Carleton may choose to apply to hold an honorary rank at Carleton. The roles, responsibilities, criteria, and processes are outlined in the Honorary Ranks Policy on the University Secretary’s website. Retired faculty, who wish to teach as contract instructors, will have Canada Pension Plan (CPP) and Employment Insurance (EI) deducted from their stipend. CPP contributions will not be deducted if you provide Payroll with a copy of from CPT30 from the CPP saying that you elected to stop contributing to the CPP. If you become disabled and are receiving benefits from the Long Term Disability Plan, you will continue to participate in the Retirement Plan and the required contributions to the plan will be made on your behalf at no cost to you. If you remain disabled and receive disability benefits up to age 65, the Minimum Guarantee Pension will still apply. It will be based on your years of service including the years you were disabled, and your earnings at the time you became disabled, adjusted by the cost of living up to three percent annually on July 1, each year following your date of disability. Transfer the greater of your Money Purchase Component, including the University’s portion, or the commuted value of your Minimum Guarantee Pension to the Pension Plan of a subsequent employer, a locked-in Registered Retirement Savings Plan or, depending on your age at the time of transfer, a Life Income Fund (LIF). Leave your Money Purchase Component Account in the Plan. The balance will continue to accumulate fund investment earnings and provide you with a pension at retirement. The amount of pension you will receive will be based on the contributions made by you and by the employer on your behalf up to the date of your termination including investment return. The Minimum Guaranteed Pension will still apply and will be based on your earnings and service up to the time you leave the University but will be reduced by actuarial equivalent factors upon early pension commencement. Deferred members, who terminated before age 55, are charged an annual administration fee equal to 1.00% of the member’s account balance. Note: If your employment with the University is terminated after your Normal Retirement Date (NRD), you will not have the option of a transfer. If your employment with the University is terminated prior to your NRD, the option of a transfer is only available if you inform the University of your election and provide any required documentation at least 60 days prior to your NRD. Additional Voluntary Contributions can be withdrawn in cash, transferred to an RRSP or RRIF, or left in the Plan, provided the basic pension remains in the plan. However, any special transferred contributions which were subject to “locking in” must remain locked-in. Cash withdrawals are subject to taxation. If you die before retirement, your beneficiary or estate will receive a refund of the greater of the commuted value of your Minimum Guarantee pension or the balance in your Money Purchase Component Account (Employee plus Employer) plus your Voluntary Contributions Account. In the absence of a waiver signed by your spouse, the pre-retirement death benefit will be paid to your spouse, not to your beneficiary if other than your spouse. Your beneficiary or estate will receive benefits according to the form of pension payment you chose at retirement. In the event of a death of a pensioner or spouse, please contact a Pension Officer. Contact information for the executor of the estate. Retiree ID Card: As a Carleton University Retiree, if you have a continuing appointment with at least 5 years of continuous service and take an immediate pension at retirement, a retiree ID card will be issued to you, so that you may still take advantage of the Library and Athletics facilities. Visit the Campus Card Office to get your new card. Out of Country Emergency Coverage: If you are planning to travel after you retire, remember that the Carleton Health plan offers out-of-country emergency coverage for a travel period up to six months through Great-West Global Medical Assistance. The emergency numbers are on the back of your Carleton prescription drug card. Retiree Association: The Carleton University Retiree Association is managed by volunteers. Joining the Carleton University Retiree Association can help enable you to remain in contact with former colleagues.